Thanks to all who commented on my blog post and left me questions! Today (and probably tomorrow since there are a lot), I’m going to answer them! I’ve broken the questions down into two different categories, Writing and Publishing. Basically, two of my favorite things! I think I’ll answer writing today and publishing tomorrow. So, without further ado, here we go! Do you get mired in details during the writing process? Yes and no. A lot of writers talk about how the first draft of your manuscript doesn’t have to be perfect, and it won’t be. If something isn’t right, you can go back and fix it later. The important thing is to keep writing through to the very end and not to let minor details stop you from moving forward. I struggle with this. If I’m not completely 100% happy with something, I will dwell on it and stick with it until I fix it, and I do think that tends to hold me back a bit when I’m working on a new project. It’s something I’m trying to work on, but it also might just be a part of my own personal technique. Everything. Music, books, other movies, places, people I love, pets I love. Cemetery Tours was inspired first of all, by the sudden loss of someone I loved very dearly. 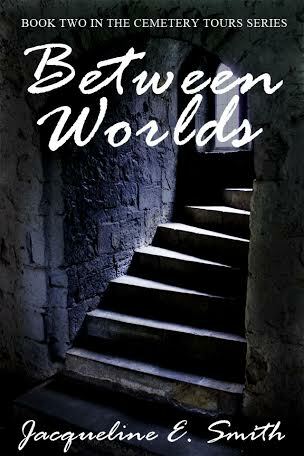 I needed to reassure myself that they were still close to me, so I decided to write a ghost story. I’d always loved ghost stories and been fascinated by the idea of an afterlife, but I’d never felt compelled to write one until after he died. I was also inspired by my love for old cemeteries, the television show Ghost Adventures, and a bridal barn where I once photographed a wedding. I would list out all the inspiration for my current projects, but I don’t want to give too much away! I can say they involve William Wordsworth, Doctor Who, and the San Antonio River Walk. Once I’ve got an idea for a story in my head, I do two things. First, I make an iTunes playlist that serves as my writing soundtrack. Is outlining really important or is there really a “right” way? Confession: I’m a terrible outliner. I prefer to do what I call a “brain-spill.” I open up a blank word document and just type. I don’t bother with things like punctuation or spelling or chronology or anything of the sort. I just type until every idea surrounding a story is in writing for me to see. I can always go back and organize it later. 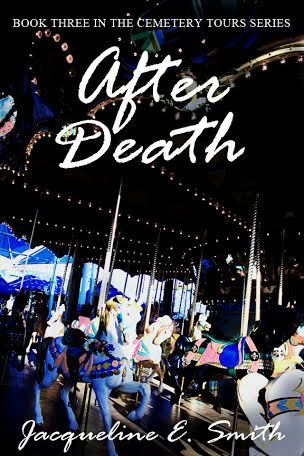 I spill out characters, their relationships, their backgrounds, what’s going to happen to them, the world they live in, what’s going to happen. To be honest, I don’t always know what’s going to happen or how a book is going to play out. One of the projects I’m working on now is still surprising me and I love it! That’s the problem I have with outlining. You can plan ahead to an extent, but the truth is, you never really know where your story is going to take you. In the sequel, one of my characters ended up in the hospital, and I never intended that to happen! It just does. As a writer, you have to acknowledge that you’re never fully in control. It’s a weird thought, but sometimes the book is going to play out the way it wants to and you just sort of go with it. Usually, it works out for the better. I do try occasionally to plot out chapters, but they almost always end up changing. Truthfully, I don’t believe there is such a thing as a “right” way to write. Just like every book, every writer is different and what works for one person will not work for another. I’m sure there are writers out there who would absolutely cringe at the way I do things. In writing, do what works best for you! Does the 3-act structure have to be as blasted complicated as some authorities make it? Again, answering honestly, I didn’t give the 3-act structure even a fraction of a thought. When I write, I don’t think about what I’m “supposed” to do as a writer. I just write out what I think will make a fun and interesting story. I don’t remember where I heard this, but I read or heard somewhere, “Write the story you want to read.” That’s what I try to do. I basically write stories for myself and hope and pray that others like them too. I’m not a big fan of rules or structure, especially when it comes to something as personal and unique as writing your own story. And if those authorities want to tell me I’m wrong, well, I have a Master’s Degree in Humanities, so surely there has to be some merit to the way I do things. What are your thoughts during the writing process? Yeah, that’s basically how it goes. Sadly, I’m not trying to be funny with this. Maybe I am a little, but there is not a whole lot of deep stuff that goes on when I’m trying to write. I’m probably the most neurotic person alive and my writing style and technique reflects that. However, if there’s one thing I know when I begin a manuscript, it’s that I’m going to finish it. I like to think I’m a follow-througher. I hate beginning things and not finishing them. I’m not sure if that has to do with my control issues or the fact that I like to do what I say I’m going to do, but I will do everything in my power to see that manuscript through to the end. It might take years. 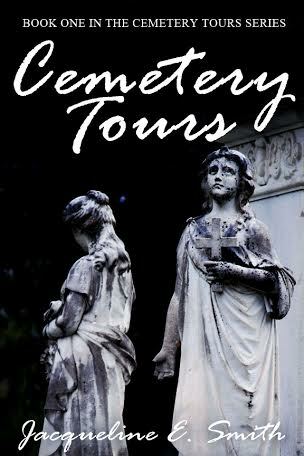 The idea for Cemetery Tours was conceived in November 2010 and I wasn’t fully satisfied with it until 2013. I started writing it at least 4 or 5 different times before I was finally convinced yeah, this is the story I want to write. This is the direction it needs to go. Writing is hard. Anyone who thinks you’ve chosen an easy path by dedicating yourself to writing is wrong. You might have to try several different methods or pathways before you figure out what your story needs to be, but when it’s right, I promise you’ll know it. I remember the exact moment I realized exactly what Cemetery Tours needed and I had the first chapter written that night. It’s all a journey, but it’s always interesting, and that’s what I really love about it. I don’t do well with stagnancy. I need things to be constantly changing and evolving and moving forward. Writing gives me all of that and more. I’m never in the same place twice. I’m free. Thank you all for your questions and stay tuned tomorrow for Answers Part II: Publishing.